The Mission of De Anza Appliance Parts & Service, Inc. and Almaden Appliance is to provide prompt, efficient and quality service to our customers at a fair and competitive price, to insure their continued satisfaction throughout the useful life of the product, and provide an environment that is conducive to the individual growth of our employees. De Anza Appliance was founded in 1972 by my father William “Bill” Boucher. I started helping my father out when the business was still in our house in Cupertino. We’ve provided appliance repair in Santa Clara County ever since. Bill taught appliance repair classes at the Polytechnic Institute in the early 1980′s. In the late 1980′s, De Anza Appliance purchased Wing Appliance located on the El Camino Real in Sunnyvale where we moved our business to. Dad got tired of running back and forth picking up parts so we decided to open a retail parts store and we moved to Bark Lane in San Jose. We incorporated the business in 1985. My wife Cindy worked with us on and off through those years while helping raise our family. My brother, David, joined the company and worked on the parts counter in our Bark Lane location while he was in high school. We were in that location for several years until the property manager raised the rent and we found a new location on Blaney Avenue in Cupertino. I often laugh recounting how our old landlord said “tenants were a dime a dozen”; as that location ended up remaining vacant for over two years. Another brother, Earl joined the company in 1987 and learned the service side of the business from my dad and I. After experiencing growth and success in parts, retail and service, my brothers and I wanted to expand. In 1993 we decided to expand into retail sales and opened up De Anza Maytag Home Appliance Center located on De Anza Boulevard. in Cupertino. My dad showed reluctance to expand into the retail sales; he didn’t like the retail side of the business. He said “just give me some service calls and send me out on the road, don’t put me in the store”. My older son, Chris joined the team originally helping in the office and expanded his responsibilities to dispatch and showroom sales. My dad retired in 1995 and my younger brother Earl decided to leave in 1997 to start his own appliance installation business. In 2000 we purchased Almaden Appliance bringing our staff up to 23 employees. Every technician, dispatcher, parts clerk and sales staff kept their positions during the acquisition. My son Chris left in 2003 to pursue his degree at Chico State University. On November 24, 2004, we closed our appliance retail sales division and shut the door to our Maytag Home Appliance Center. We moved to a small office on Pacifica Drive in Cupertino where we continue our service tradition and do in home appliance repair. We have come full circle and focus on what we do best, operate a quality service in a small family-owned company. My brother David and my wife Cindy make up our management team today. My younger son Nick joined the company in 2007 and works part-time with our office team while juggling work as a teacher and actor. Chris rejoined the team in 2013 to take over marketing, recruiting and assists with day-to-day operations and took over an ownership share in 2014. In 2015 we promoted Senior Technician, Peter MacConnell to Technician Trainer and hopeful he’ll be the next Service Manager to allow me to focus on growing the business while leaving the technicians with strong leadership. In 2017 we outgrew facilities in Cupertino and headed north to the Oakmead neighborhood of Santa Clara. With a staff of 16 De Anza Appliance is the largest it’s been since the showroom closure in 2004. With the move we expanded the service territory for the first time in company stretching to Santa Cruz County and Gilroy. 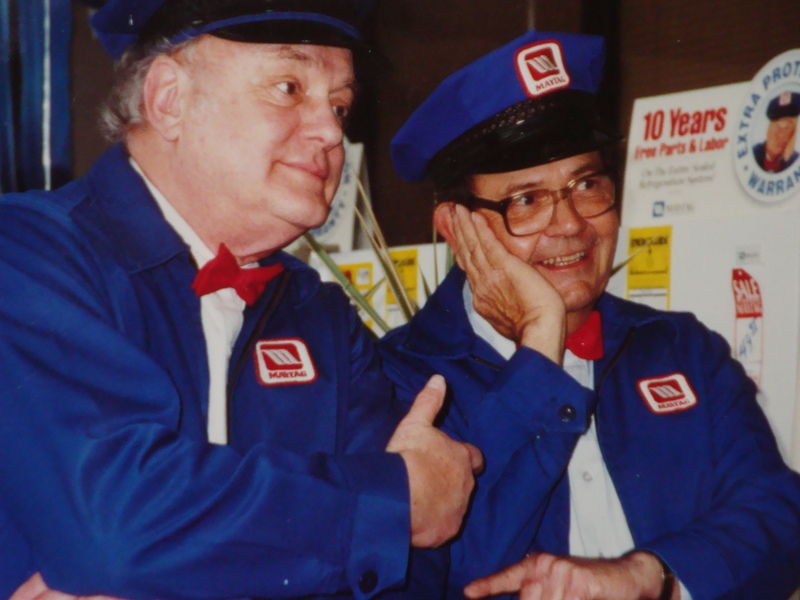 We’re excited for the next chapter of De Anza Appliance’s history.